Kin Resurfacing is a skin treatment procedure in which the facial skin is treated for its uneven texture. 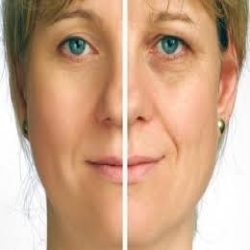 Skin resurfacing is done when facial skin consists of scar from acne, premature ageing, sun burn, brown spots or blotchy skin colouring, crow’s feet lines around the eyes, fine wrinkles, vertical wrinkles around mouth, certain precancerous skin growths etc. Travcure Medical Tourism provides economical, yet high quality options for Laser Skin Resurfacing Surgery in India. We are associated with the best cosmetic hospitals and surgeons and hence provide the most successful and affordable options for surgery. For acne scars, surgical scars, open pores, even skin tone, mole removal & msny more indications. Vita Health Care Pvt. Ltd. Pretty woman Electrolysis can help perfect your look, by removing unwanted hair permanently. Our electrolysis can increase your self-confidence, perfect your look and deepen your self-satisfaction. WE PROMISE YOU WITH A HAIR FREE SCAR FREE SMOOTH SKIN. RESULTS ARE GUARANTEED. Book an appointment, Get Quotes for Surgeries, Get expert advice for Top Dermatology Clinics and Best Dermatologists in Delhi, Gurgaon, Noida, Ghaziabad and Faridabad. Large Network of Hospitals and Doctors to select from. Surgivisor One stop for all your hospitalization need. Think Surgery Think Surgivisor!